Please email us your User Comments and we will publish them below. Feel free to be anonymous or briefly mention your title, occupation, company or business. “I really like it when you get stuck and then fix it on the fly. That’s the real world”. “We have been busy here going through your training videos. What a fantastic resource! Thanks so much for the production of these.”. “These are fantastic tutoirials. It’s not easy to find a good tutorial in combination with an exellent expert who knows how and why it is done. These tutorials are a total reference for me. Even from such a simple structure as a double car garage project, I was able to draw complex buildings following this great tutorial series”. “Great clips! And great information about using the software! “. “You are a true genius… the effort you have put into these tutorials is incredible.You are very big hearted to share this knowledge and tips with all of us and god bless you for that. 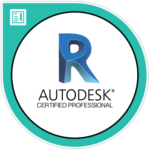 I am an AutoCAD person, so REVIT is new to me. By watching your tutorials I have gained a great understanding of this software. Hopefully you will keep on sharing your knowledge and tips with new tutorials. thank you “. “I really like the way the instructor repeats what needs to be repeated in order to drive the lesson home. This is real teaching and I am learning quickly. I appreciate the style. It’s extremely thurough and well detailed for those of us who are serious about mastering this software”. I have watched many training videos and I have to say Well Done !